It was during the Pujo time that this home-grown jewellery brand caught our attention. With stalls at several fleas & exhibitions, Alankrut Creations has become a popular name for handcrafted silver jewellery that is not only trendy but extremely reasonable. The designs are mostly simple, classy and neat. However, you can also find quirky, chunky statement pieces with whimsical colours. In a nutshell, they have jewellery for all. We bought some quirky nose pins that are intricately carved along with a couple of jhumkas. 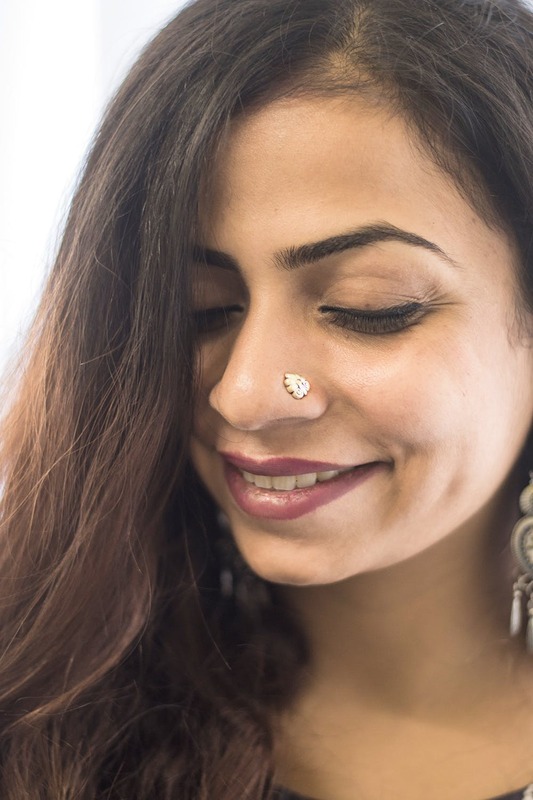 Believe it or not, a nose pin cost just INR 50! We were amazed by the variety of earrings they have. From plain round ones to fancy jhumkas, the designs are simply amazing. If you love bright colours, check out their statement neck-pieces which have brightly-coloured pendants with stonework. They also have amazing combos of earrings and pendants- something you could totally gift. If you are not a big fan of heavy jewels, check-out their intricately designed chains and rings. Sleek and petite, they are sure to add glamour to your outfits. We absolutely loved their jewellery sets which have handcrafted necklaces with stone pendants, rings and trinket-type jhumkas. Add a couple of bracelets, and you are good to grace any occasion. Take a look at their social media pages to be updated with their latest collection and DM them for orders. Let your festive fashion be modern with an ancient touch. Apart from their FB & Insta handles, they also have a website which is not working properly. They should fix it as soon as possible.